Just a reminder that the last month or so has been chock full of design diary stuff about Vic Davis’s upcoming Solium Infernum. My design goal was to incorporate both known and hidden information into a system that let you try and get a feel for how combats might resolve but had enough uncertainty to make them interesting and dramatic. The limited actions mechanic is a common feature of Eurostyle games. On any given turn you can pick from some finite action menu a limited number of times. Or you can claim a “role” card for a given turn and get its benefits. 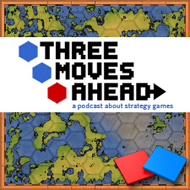 This is opposed to a classic hex based wargame where you can move almost any counter on the board unless it lacks supply or some such other action limiting state is involved. AE was a nice mix of both of these styles. For Solium Infernum I wanted first and foremost a Grand Strategy type feeling and I felt the limited actions mechanic fit perfectly with this. You can now respond to the message from the Infernal Conclave that you have been challenged (or initiated the challenge) to resolve a Vendetta via single combat. You have 2 turns to pick your champion or hire one in the Infernal Bazaar and get him ready. Once both players submit their champions then the duel is processed on that next turn….and we see who is still standing and who is banished to the Abyss. OK, that last one requires a little more context if you want it make sense. But there’s an Infernal Bazaar! How can you pass that up? I can’t. Eurogames + Hell = autobuy. But for a lot of gamers, Eurogames *are* hell. Just a quick note to inform you about a new interview of Vic Davis about Solium Infernum on http://www.cyberstratege.com. Though it’s in french, you shall probably manage to understand most of it one way or another. If not, in case of need let me know.